Golf cars and low-speed vehicles (LSV) are not just confined to the golf course anymore. These days, they are becoming more and more accepted in streets – including residential areas and neighborhoods, and master-planned communities. These vehicles’ ease of use, reliability, and fuel and cost efficiency are just some of the reasons why more people are using it over regular vehicles to go on their errands every day. If there is one thing this acceptance has brought about – it is the number of residential golf carts options currently available in the market. Although options will always be a good thing, it can also be quite hard to decide on which one is the best for our needs. So the question remains, how do you determine which residential golf car is perfect for you? The ACG offerings in residential category evoke royalty and luxury. Their passenger shuttles available with us have extremely roomy interiors and are fitted with comfortable seating and state-of-the-art suspension systems for a bump-free ride. The shuttles come with multiple seating options, customizable interiors and are designed to be sensitive towards the needs of the differently-abled as well. The classic designed spacious golf cars from Star come with powerful engines. The sturdy and ultra modern cars have stylish designs, which will ensure that you’re the object of people’s attention no matter where you go. The Residential Cars available with us have been designed for maximum comfort and efficiency. The daily use of residential cars in our lives requires them to be sturdy and durable, along with having modern technological features such as LED signalling systems and often entertainment systems as well. You will find this and more with the residential cars on offer from us. The chic and urban designs of Gem residential cars, come equipped with strong motors. Some of offerings include ability to tow 1500 lbs or a maximum speed of 25 mph. Rugged build, custom seating, stylish interiors and modern trendy colors are what you can identify the Tomberlin residential cars with. The cars come with different seating options, so that you can choose the type of car you wish for yourself and your family. 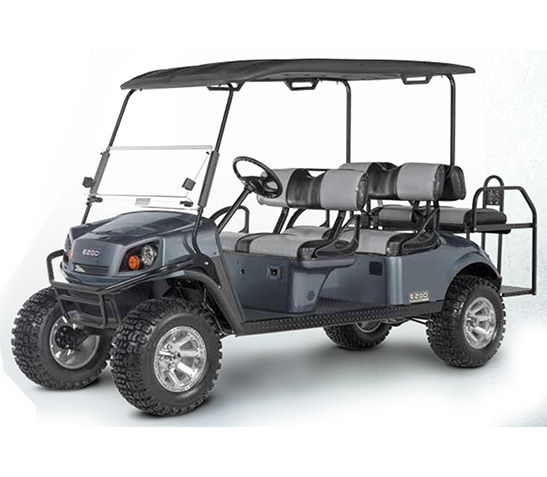 Here at Golf Cars Unlimited, we offer a wide range of residential golf car options that will fit your every need. At the same time, we would also like to help you make the right choice. And to do that, here are a few important points that you should consider in getting a residential golf car. 1. Look and style. Choosing the right residential golf cart is quite similar to choosing a regular vehicle – appearance and design will always be a factor. This is an entirely personal decision for the owner as aesthetics will always be a personal preference, and the good thing is golf cars now come in all shapes and sizes, so everyone is bound to find something that they like – from the vintage car feel to modern and stylish. 2. Function and features. Another and perhaps more important consideration in purchasing a vehicle is its features and functionality. When it comes to residential golf cars, you should consider all the reasons why you are getting one – do you plan to use it for short errands to the city with your family? How many seats and cargo space do you need? Another thing to consider in golf cars is the distance range you plan to use it for – as this will be a factor in choosing the right model for you as different models offer different options regarding the battery capacity and even type of motor (either electric or gas). 3. Reliability and comfort. If you and your family will be using your residential golf car to go about your routine, then reliability and comfort should play a big role in your decision. Aside from comfortable seats, you should also consider its road-worthiness – whether it can handle the terrain you will be using it on. If your community is a bit on the hilly side, then perhaps you should consider one that comes with a powerful motor and power steering. If you are mostly doing city driving, then you could prioritize top speed capability over rugged all-terrain models. Aside from this, you should opt for a model that can handle and be driven in all weather conditions – especially if you live in areas where detriment weather can occur. 4. Safety and sturdiness. Everyone wants the best for their family; so another big consideration when it comes to buying a residential golf cart is its safety features and durability. Most golf cars and low-speed vehicles these days are made of top quality steel that can withstand any weather condition – so that checks the sturdiness factor. Safety, on the other hand, should be a big consideration, as you will be using the golf car to transport your family out and about. Some safety features you should take note of are three-point seatbelts, reliable braking system, temperature resistant motor, and easy to maneuver steering system. 5. Cost. Just like the purchase of any vehicle, cost remains one of the major considerations, and it’s the same with residential golf carts. The good thing is, golf cars come in a wide range of prices – normally depending on what kind of engine and batteries it comes with, built-in features, and accessories it offers. So set your budget, determine your must-haves and can do without, and identify the top models that fit both. 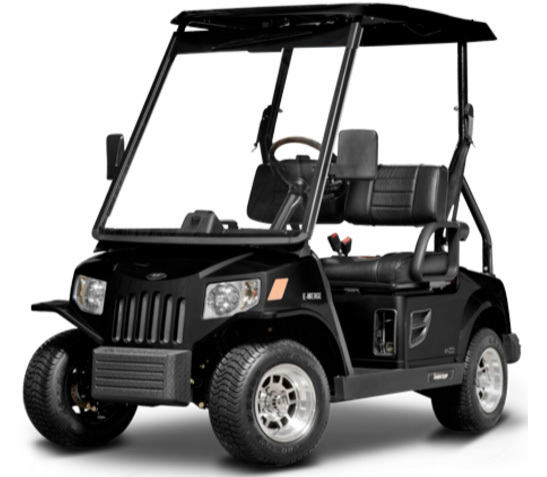 We understand that choosing the right residential golf cart for you and your family might be a bit overwhelming especially considering the number of choices right at your fingertips. So sit down, take a look at these points, reflect on your needs and options, and choose the best one that fits your needs. If you need more help, then drop us a line here at Golf Cars Unlimited, and we would be more than happy to assist you.